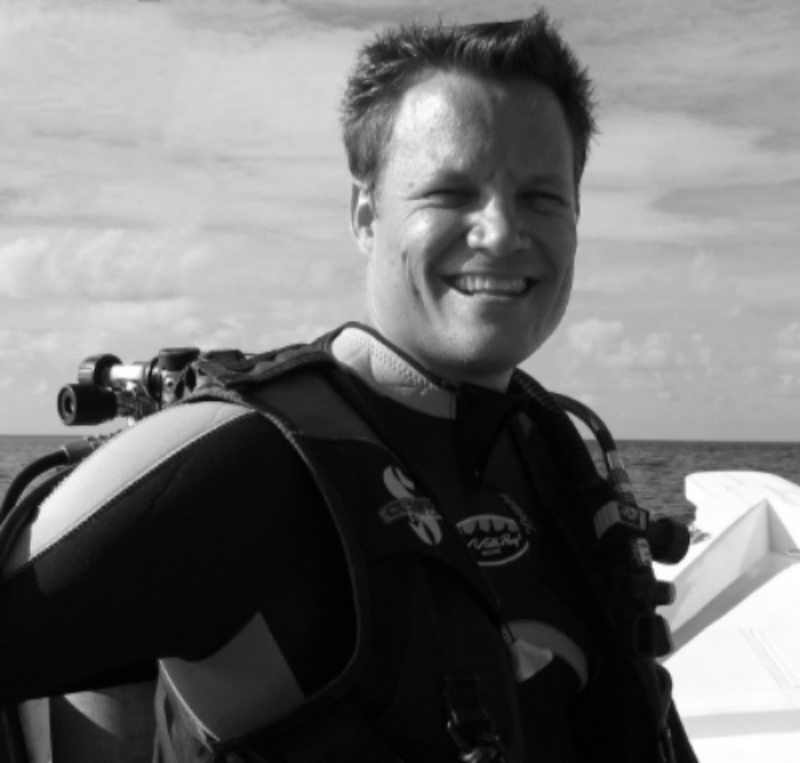 Born in 1970 in Paderborn, Germany, Henrik developed an interest for the ocean and animal world from a very young age. After studying marketing and political economy for a few years in Hamburg, he pursued his true calling, realizing that he was happier in the water than on land. Immediately after Discover Scuba, his passion for the seas and marine life was solidified. At that point, in 1998, Henrik left Germany and relocated to Fort Lauderdale, Florida. While in the US, he perfected many diving specialties such as wreck and rescue diving, underwater photography, video and dive master. He has over 400 recorded dives in exotic locations around the world such as Egypt, Maldives, Hawaii, Florida, Mexico, Venezuela, Bonaire, Turks & Caicos, Dominican Republic and Bahamas. The underwater world, the birthplace of all life on this Earth, has always been Henrik's greatest passion. His nature macro photography depicts a surreal and alien underwater world unknown to many of us which provokes feelings of serenity, calmness, sensuality, and intrigue. While his mixed media stories portray a combination of Henrik's beliefs in energy, time and the undeniable effect it has on humans and their everyday life moments. By turning the world upside down and playing with the reflection of the water surface, he creates an effect that conjures up the surreal and inspires imagination. For Henrik, everything is connected to water, nature, and the energy of life. In essence, Henrik's renowned photography embodies the words of Leonardo da Vinci: “Water is the driving force of all nature”. He continues to showcase the underwater world through his photography and conceptual art.